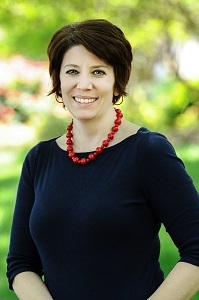 Dr. Sarah Mergel was one of the earliest USG open textbook pioneers, co-authoring History in the Making: A History of the People of the United States of America to 1877, the USG’s first published open textbook in partnership with the University of North Georgia Press in 2012-2013. Dr. Mergel teaches her HIST 2111 course with this open textbook, but her work with OER did not stop there. She now teaches the second course in this sequence, HIST 2112, with OpenStax U.S. History, and teaches her First-Year Experience courses with OER and the Dalton State Transitions print textbook, which is free to Dalton State College students. Dr. Mergel continues to improve History in the Making through the adaptation of McGraw-Hill Education’s SmartBook platform. Dr. Mergel worked with McGraw-Hill on the adaptive and evaluative elements of the platform, and it functions as a “wrapper” around the open textbook. McGraw-Hill now has a pilot program with USG faculty to adapt OER with Smartbook and provide feedback. “I’m always up for a challenge when it comes to my field of study, history. When the opportunity to author an open textbook for a history survey course presented itself, I jumped at the chance. The project allowed me to look at the topics I teach every day in a new way which helped my knowledge about the course material evolve. Moreover, the end result—a free digital resource comparable to more expensive textbooks—provided my students access to a convenient, high-quality resource about U.S. history on the first day of class.